OBSERVINGART - INTERNATIONAL ART, NEWS AND EVENTS: Observingarts: Francis Bacon's "Head I" - the story. Observingarts: Francis Bacon's "Head I" - the story. 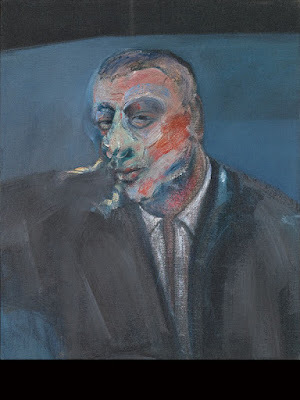 Francis Bacon, Head I, 195860.5 by 50.5 cm. ; 23¾ by 19⅞ in. Francis Bacon’s Head I of 1958 was painted at a turning point in the artist’s career. The picture also captures the drama of Bacon’s personal life. Completed in the borrowed rooms he occupied in Overstrand Mansions in Battersea, the painting depicts Peter Lacy, More and nice detail of painting at Sotheby's.